I have one Samsung company's digital camera. From time to time, I have learned it for capturing best picture. Today, I am sharing my knowledge with you. If you will follow my instructions, you will surely succeed to take best picture from your digital camera. Before taking picture, clean the lens of your digital camera. It is possible that some of dust is on your camera which will decrease your picture’s quality. If you want to take picture for email attachment, just go to menu and shooting and select 1024X768 size. But if you want to show it in HD TV select 1920X1080 size. If you want to print, you need to select A4. So select 2560X1920 for this. All most, all the digital camera will be the double lcd. Use it by fixing the 10 second time of picture. Within 10 second you can adjust yourself for best picture. Check where are you setting or standing. It is important because your background will affect your picture quality. Keep good background for better taking of picture. Sometime, a person’s eye will not tolerate the light of flash. So, off the flash of light for taking quality picture. 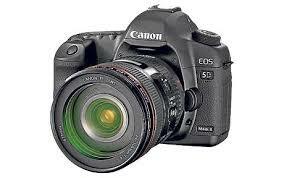 In digital camera, there is the smart option. In this pictures will be automatically recognized. You can use camera in night mode. This is the good for taking pictures in night. There will also beauty shoot option in the menu of digital camera, you can also use it. You can use the face tone option for bringing the brightness on the face in the picture. You can also use the face detection option in your digital camera. In this your can use focus and exposure. No Comment to " How to Take Best Picture from Digital Camera "